Clinical Investigation is dedicated to systematic coverage of the methodology, progress and outcomes of clinical trials and clinical research. 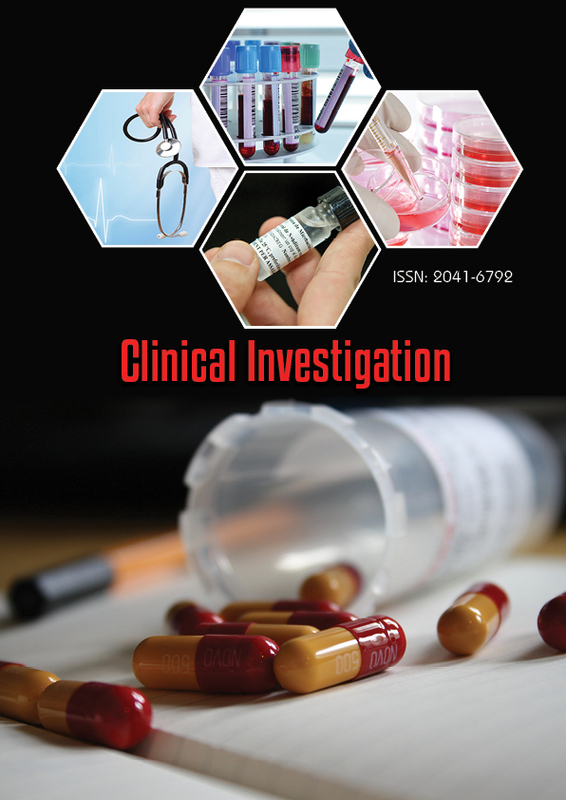 As a peer-reviewed, monthly publication Clinical Investigation provides a forum for the rapid publication of original research and critically reviews the latest developments in medical research, from Phase 1 trials through to post-marketing studies and pharmacoeconomic research. The fully-loaded costs involved in bringing a new medicine to market can be as high as $1.3 billion dollars, and much of this cost is incurred during clinical evaluation. Although dozens of new therapeutic entities enter clinical use each year, only one of every 10,000 potential medicines survives the development and approval process. The process of clinical development is therefore highly expensive, involved and complex, with huge demands placed on investigators to deliver robust, reproducible data and to meet the exacting requirements of regulatory authorities. Clinical Investigation assimilates the wealth of information resulting from the clinical development of new medicines into concise yet comprehensive formats. The journal addresses contemporary issues in clinical drug development and methodology, and also provides a platform for the rapid publication of new drug data from human studies. Coverage spans all therapeutic areas and relates to conventional small-molecule drugs as well as biotech-derived therapeutic entities, including vaccines, monoclonal antibodies, antisense, cell and gene therapies and recombinant proteins. The journal publishes review articles, original papers, perspectives, commentaries, meeting reports, news, views and more. Clinical Investigation provides a systematic program of peer-reviewed coverage relating to the clinical evaluation of new and established therapies. The audience for Clinical Investigation includes clinical investigators, healthcare decision makers, formulary managers, clinicians, regulatory personnel and medical affairs professionals.